Pokhara is surrounded by verdant hills and traditional villages offering stunning views of the Himalayan peaks. Experience the Himalayas by taking a short day hike to Naudanda and Sarangkot. On this short Pokhara day hike, you get to view not only the mountains but also experience the ethnic culture of mountain communities as well. Your adventure begins with a drive from Pokhara to Phedi on a highway lined with terraced fields, traditional settlements, and green forest. The frozen summits of the Annapurna Massif flank the horizon. Get down and take your first steps from Phedi. Head to Naudanda, stopping at intervals to catch your breath and soak in the views. Enjoy inspiring views of the snow-capped peaks and mountain villages. Keep your camera ready to click pictures. There would be numerous photo-op moments on the trail. A gentle ascent from Phedi brings you to Naudanda, a Gurung village. Walk past paddy fields and mountain settlements with whitewashed cottages. Follow an easy trail till you reach Sarangkot. Sarangkot (1600m) is one of the most popular Himalayan viewpoints in Nepal. From here get three sixty degree views of the Himalayas - Annapurnas, Lamjung Himal, Machhapucchre (Fishtail Peak) and Hiunchuli - and Pokhara valley. After spending a blissful hour or two soaking in the soul-stirring panorama and taking selfies head down from Sarangkot to Pokhara. Finally drive down to your hotel. This hike is ideal for those looking for a Himalayan experience without having to trek for longer periods on a rough trail. You get to go as close as you can to the Himalayas without sacrificing your precious time, energy or creature comforts. Moreover, get a glimpse of rural lifestyle while walking past charming mountain settlements. If you are looking for a short hike then you can take a short hike up to Peace Pagoda or Shanti Stupa. You cross the Phewa Lake on a boat and hike up the hill up to the vantage point of the stupa. Enjoy awesome views of the entire Pokhara Valley, snow-capped mountains and the Phewa Lake. 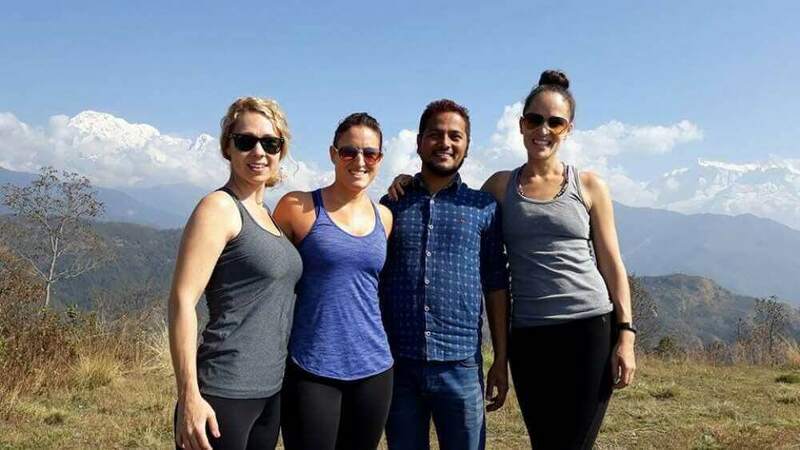 If you want to visit all the major tourist destinations in Nepal then you can book our popular Best of Nepal Tour, and visit all the major tourist sites in Kathmandu, Pokhara and Chitwan. Why Pokhara – Naudanda Sarangkot Hike? Your guide will meet you at the hotel lobby. Together you board a vehicle and drive to Phedi. It is a scenic ride filled with beautiful views of the mountains, terraced fields and mountainside settlements. Upon reaching Phedi disembark and start hiking to Naudanda. Follow a trail that goes through a forest and terraced farms. An upward climb brings you to the Gurung village of Naudanda. You stop here for lunch. The village is located on top of a ridge and offers panoramic views of the Himalayas and the Seti River. Savouring the majestic views, proceed to Sarangkot. At Sarangkot, you are surrounded by an endless chain of Himalayan peaks. Gaze at the awe-inspiring snow covered summits of Annapurna Massif, Machhapucchre, Lamjung Himal and Hiunchuli. The green Pokhara valley spreads below with Phewa Lake glimmering like a jewel. Spend some quiet time capturing these scenes in your memory and your camera. Later make an easy descent to Pokhara and drive to your hotel. My 2 friends and I had never been to Nepal before and we were hoping to find a good tour guide to see some local sights. What we received from third Rock Adventures was so much more! From start to finish, from Kathmandu, Pokhara to Bhaktapur, Third Rock was with us and checking in every step of the way. No matter what we needed or asked they found a way. We began in Kathmandu where Pranay sat down with us and discussed what we were interested in. He had many options, all very reasonably priced. He got us a driver and a tour guide for the day in Kathmandu and we saw just exactly what we wanted to see. Lunch was also included. We had a packed day full of culture and history! We had discussed with them prior that we wanted to do a hike in Pokhara, but had limited time. Well, Pranay set us up with Diependra in Pokhara who was an AMAZING guide. We had a fabulous time- hiking, sight seeing, paragliding, and we were even able to see the sunrise on the Himalayas! 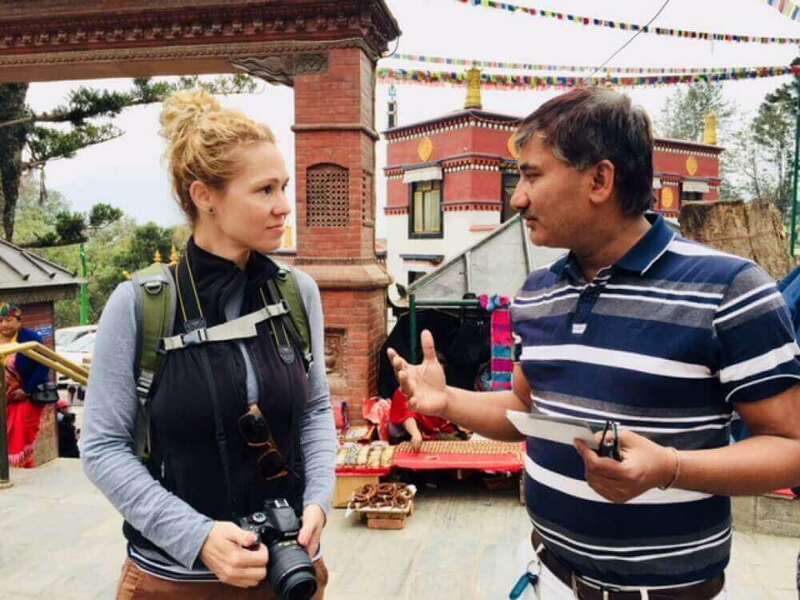 I cannot say enough wonderful things about Diependra...he was a fantastic guide. We then headed to Bhaktapur with no plans and decided day 2 that we wanted to do a hike and get out of the city. So, who do we call....Third Rock. They set us up with a driver and Kamal (our new guide for Bhaktapur). We were able to get out of the city and see Nagarkot which was a nice hike and we ate at a little local place which was just lovely. 100% I would recommend Third Rock and if I were to ever come back to Nepal....I would use them again no thoughts about it! Best costumer service, best guides, best overall! Well done Third Rock Adventures! Is Sarangkot Hike a must do? Yes, Sarangkot is a must visit if you are in Pokhara. This short hike will allow you to view the most amazing sunrise against the Annapurna ranges.